An investigation has ensued after the National Highway Traffic Safety Administration (NHTSA) received 43 complaints of faulty brakes on certain models of Harley Davidson motorcycles. Riders reported that both the hand and foot brakes suddenly failed to work, resulting in three crashes and two injuries. The investigation includes more than 430,000 Harley Davidson motorcycles with model numbers between 2008 and 2011. All of the bikes in the inquiry have an anti-locking braking system that is supposed to prevent riders from losing their grip in situations where they must brake hard. Riders said the brakes in these systems suddenly froze without warning, leading to potentially dangerous situations. The official investigation was opened on July 6 and Harley Davidson told ABC News that the company was cooperating with the NHTSA throughout the inquiry. The investigation comes on the heels of a 2014 recall by the motorcycle manufacturer that involved more than 60,000 bikes. Brake malfunction also led to the recall. However, in the 2014 recall, riders reported their brakes suddenly engaged without warning. 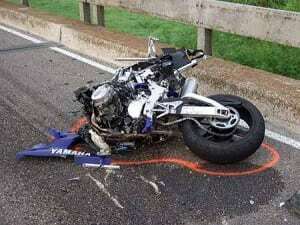 Motorcycle fatalities are typically relatively low in Maine, compared to other areas of the country. In 2014, the state saw just 11 fatal motorcycle accidents. Four of those riders were not wearing helmets at the time of the crash. The highest number of crashes between 2008 and 2012 occurred in Cumberland County. However, 2015 saw an alarming upsurge in motorcycle deaths, prompting many to question the reason behind the uptick. According to the Portland Press Herald, there were 28 fatalities by the middle of September of that year. More than half – 19 riders – were not wearing helmets at the time of the crash. Helmets are not legally required in the state, except for riders who are 18 years or younger, riders with learner’s permits and those with first-year licenses. The report attributed the increase in fatalities, at least in part, to the summer weather that brought more bikers out on the Maine roadways. Warm temperatures and lack of rain have allowed more riding this year than is typical for a Maine summer. However, other factors may have contributed to the increase as well, including speed, alcohol and the lack of safety equipment (particularly helmets). No information was available in 2015 for the possibility that manufacturing defects in motorcycles contributed to the increase in crashes. Those factors could change this year, in light of the new information about brake defects associated with Harley Davidson motorcycles. In the meantime, those who suffered property damage or injuries as a result of brake issues with Harley Davidsons could be eligible for legal damages if this investigation determines manufacturers are liable. The current investigation is likely to reveal evidence that will either support or refute claims against the motorcycle manufacturer. If you are injured in a motorcycle accident, or you lose a loved one in one of these tragic events, legal help is available. Contact the law firm of Hardy, Wolf & Downing today at 1-800-INJURED to speak with a veteran motorcycle accident lawyer in Maine. The case review is free and there are no legal fees unless we win compensation on your behalf.